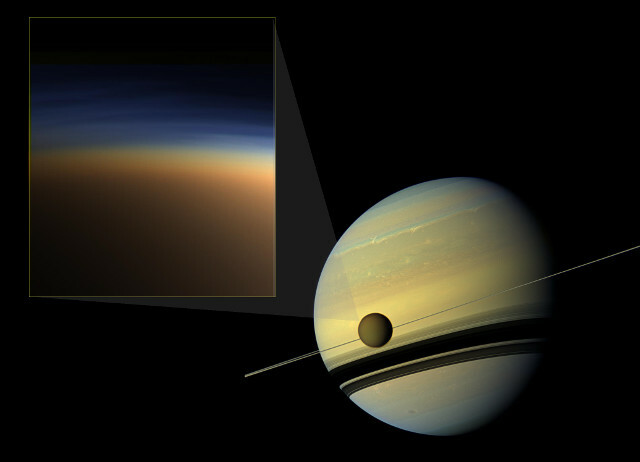 Titan’s atmosphere is dense and full of chemical compounds including hydrocarbons, so much so that there’s a methane cycle similar to water cycle on Earth. In simple words, there are seas, lakes and rivers of methane that partly evaporate, form clouds in the atmosphere and condense in rain. The presence of other compounds forms a rich mixture that until now wasn’t fully explained because there were no known chemical reactions that could create some complex molecules at temperatures typical of Titan, which on the surface are around -180° C (-292° F). 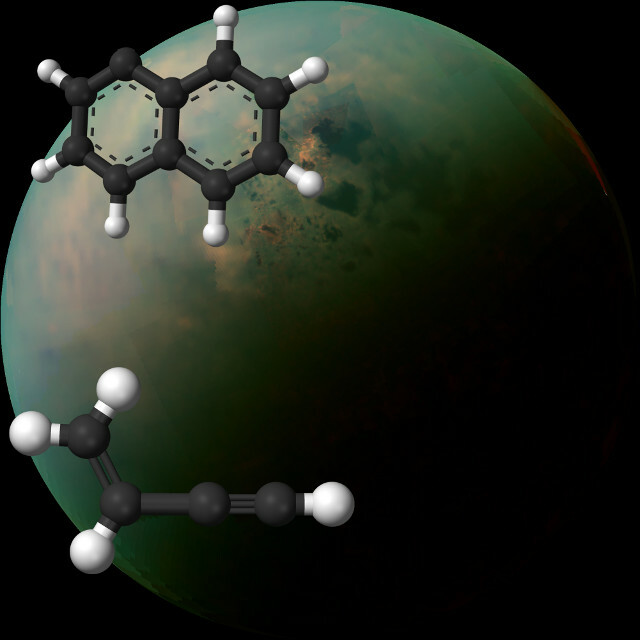 Benzene is a compound that’s part of the PAH group detected on Titan which according to scientists is one of the building blocks that make up more complex hydrocarbons existing in that moon’s atmosphere. To solve the mystery, the authors of this research carried out experiments at the US Department of Energy’s Berkeley Lab. They mixed two gases that probably exist in Titan’s atmosphere, also part of the PAH group: the naphthyl radical and a hydrocarbon called vinylacetylene. They reacted producing more complex PAHs at the temperatures typical of Titan. A problem in the study of PAHs such as the ones studied at Berkeley Lab is that they have properties that make them very difficult to identify in deep space. So far, no PAH has been detected in interstellar space, does that mean that there are none or is it too difficult to identify them even for our more sophisticated instruments? If these compounds can react chemically even at very low temperatures it’s possible that in space they’re more abundant than previously thought. This type of research will also be useful to understand how certain chemical reactions occur under different conditions, for example in an atmosphere such as Titan’s and in one such as the Earth’s. This is especially important concerning complex organic compounds that can lead to the formation of life’s building blocks.